Are you a Brilliant Distinctions or Aspire Rewards member? Are you at or close to your desired body weight? Any health concerns you want to share with us? Do you currently have any of the following? Previous cosmetic procedures or surgeries and date? *Dermatology & Laser of Del Mar does not accept Medicaid or HMO insurance plans. We do accept most PPO coverage and Medicare. While we do accept insurance for medical dermatology appointments, we cannot guarantee your visit will be covered. That is dependent on your individual plan. Cosmetic Procedures are not billed through insurance. These may be paid by cash, check or major credit card. We also accept financing through Care Credit. 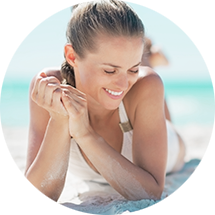 *Any evaluation performed via our website is for the purpose of assessing and educating for appropriate cosmetic procedures. 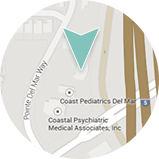 Dermatology & Laser of Del Mar cannot dispense medical advice or treat any medical condition without being seen by a licensed provider.